Vahn Phollurxa, co-owner & Artistic Associate of The Acting Studio Keller, has musically directed 47 musicals and performed in 23 musicals, with the bulk of his equity experience coming from the musical Miss Saigon. 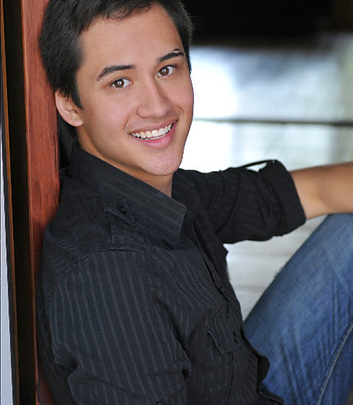 Vahn is a graduate of the University of Central Oklahoma with a BFA in Musical Theatre. He has collaborated with musical theatre venues throughout Oklahoma, Texas, New Hampshire, New York, and Kansas, including Lyric Theatre Oklahoma, Reduxion Theatre, UCO, OCU, OU, Interlakes Theatre, Upstage Theatre, Shawnee Little Theatre, and Edmond Summerstock. Some of his most memorable productions include Side Show, The Full Monty, Sweet Smell of Success, Flipside: The Patti Page Story, Music Man, and Little Women. ​Vahn currently works at Keller, Grapevine, Frisco and Rockwall as a music director, pianist and voice teacher.